The Democrats Unleash The Cult Of Relatability...Oh, What Fresh Hell Is This? The election of Donald Trump shocked almost everyone, even many of his most ardent supporters. There’s no need to rehash election night 2016 (although sometimes when I’m down in the dumps I do go back and look at media coverage of that night just to cheer myself up). It’s a night that will live in infamy. There are better minds than mine that can break down all the reasons for Trump’s surprising landslide but one obvious reason is that he doesn’t speak like a diplomat. As crazy as it sounds when talking about a billionaire from the Manhattan set, Trump was relatable. He didn’t try to fool anyone with high-minded chatter and ten-dollar words. When he spoke at rallies, you got the sense you were hearing his completely unfiltered thoughts. The commentary class might not care for it but the average voters found it refreshing- and even a bit of a relief. Trump won in part because everyone was tired of polished turds being passed off as thoughtful expression. If Obama gave us the cult of personality, Trump brought us the cult of relatability. Now, nearly three years in, the Democrat Party - having been confronted for the first time with just how grossly out of touch they have become - has decided to go full “relatable”. Alexandria Ocasio-Cortez (AOC) has been the first to truly capitalize on the wave of relatability ushered in by Trump. Her marketing team has done a brilliant job of putting out funny memes and clapback videos and her Twitter account is the liberal socialist version of Trump’s. If anyone is doing it right, it’s AOC. Unfortunately, the Democrat Party elites have also been paying attention. They see how their own voting base is beginning to turn on the old guard. 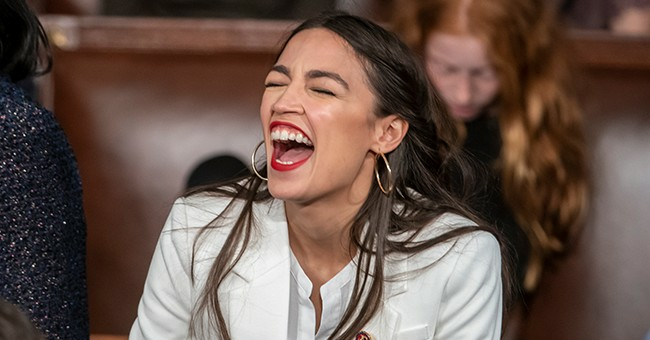 They see how Trump has been able to successfully leverage his reputation as an outsider; they see how AOC has become a pop-culture icon without having accomplished much of anything outside of winning an uncontested congressional seat; they see the unfavorable reaction to wax figures like Schumer and Pelosi trying to convince the American people they care about the same things we do. We used to ridicule their double-speak and academic jargon, but as it turns out the “down-to-earth” Democrat politician is even worse, in large part because it’s still just as manufactured as the diplomatic talk. Lifetime politicians don’t know how to be real people in public and from the spectacle we’ve seen coming lately from the Dems they never will. But that won’t stop them from trying. And thus we are all mercilessly subjected to the cringe-worthy sight of presidential candidate Elizabeth Warren filming from her kitchen as she declares she’s going to “get me a beer” and then awkwardly thanks her husband for “being here”…in his own house. We are forced to endure the inside of “Beto” O’Rourke’s mouth as he livestreams his dental appointments. We have to try not to let our eyes roll right out of our heads as Cory Booker awkwardly steps over interns and attendants to race coffee to Christine Blasey Ford while the cameras were still rolling. The latest “storming normie” from the left comes in the form of Kamala Harris in a power suit tweeting about her favorite music mix. It isn’t just weird tweets and awkwardly “casual” videos. Democrat politicians are beginning to use coarser language in a stiff attempt to parrot Trump’s reputation for crassness. They don’t understand that it isn’t Trump’s crassness that attracted voters but his boldness. Conservatives, Republicans and their representatives have been eating the media’s lies about them for decades, all in the name of “diplomacy” and “class”. Trump is not beholden to such notions because he is not a career politician. He doesn’t depend on voters and the D.C. cocktail party set to keep him employed. The Democrats don’t see this. They see his tweets, his startling behavior, his unwillingness to keep the uglier parts of political negotiating out of the public eye and they take it as coarseness rather than what it is - business. Trump is the wealthy upper class, but he is also “the people”. He has operated as a private citizen his entire life. When he gets down in the mud it’s because he’s doing business - the people’s business. The Democrat Party mistakes this for posturing and they try to imitate accordingly. There’s nothing genuine about the carefully calculated “man/woman of the people” schtick coming from the left-wing political class at the moment. They still believe that their only job is to get reelected and as a result their new vibe is really nothing but the same old games designed to pull votes, not change lives. Trump is not burdened by such worries and while that has been refreshing for many it has been confusing for the D.C. left. Trump has the luxury of just being himself (for better or worse). Everyone else has to be who they think the voter wants them to be, and the Democrat Party - along with their Republican brethren, oftentimes -has proven over and over again since that fateful night in 2016 that they actually have no clue what the voters want. Oh, President Trump. What hell hath thou wrought? For now we are all the wretched captive audience of this miserable theater of relatability. Buckle up, America! We’ve got another two years of videos of Democrat colonoscopies and trips to the grocery stores, all filmed by their cadre of assistants and aides because hey…they’re just like you!